What do these forests make you feel?… you can find strength in them that you look for. How absolutely full of truth they are, how full of reality. The juice and essence of life are in them… As the breezes blow among them, they quiver, yet how still they stand developing with the universe. 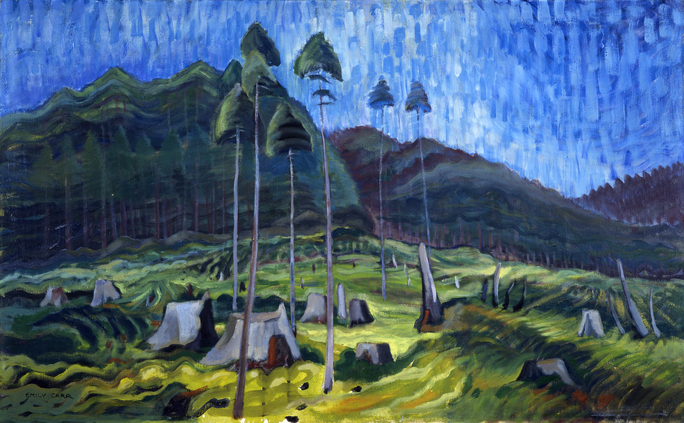 Emily Carr’s paintings and her prolific written work attest to her passion for trees. These trees are not static, inanimate, objects. Instead, they take up all of her canvas, front and centre. And they move and sway, toss about in the wind, make big and small movements. Have you ever considered looking at Carr’s paintings not just with your eyes, but with your whole body? One of the questions asked in the Activating Emily Activity Book is: How do you move when you look at Emily Carr’s paintings? Video by Caorda Web Solutions. As a recipient of the Arts Innovation Fund, we also wanted to thank Creative BC, BC Arts Council for making this project possible, and The Number for helping us get it up and running. Activating Emily invites the viewer to experience the renowned artist’s work and stories in new ways, by responding to her art with the body, by learning about the indigenous plants the artist was surrounded by as she created, by playing with colour, and by exploring her family history. The activity book and the app downloaded onto a tablet or mobile phone go hand-in-hand in explorations that take the viewer beyond the confines of the AGGV. 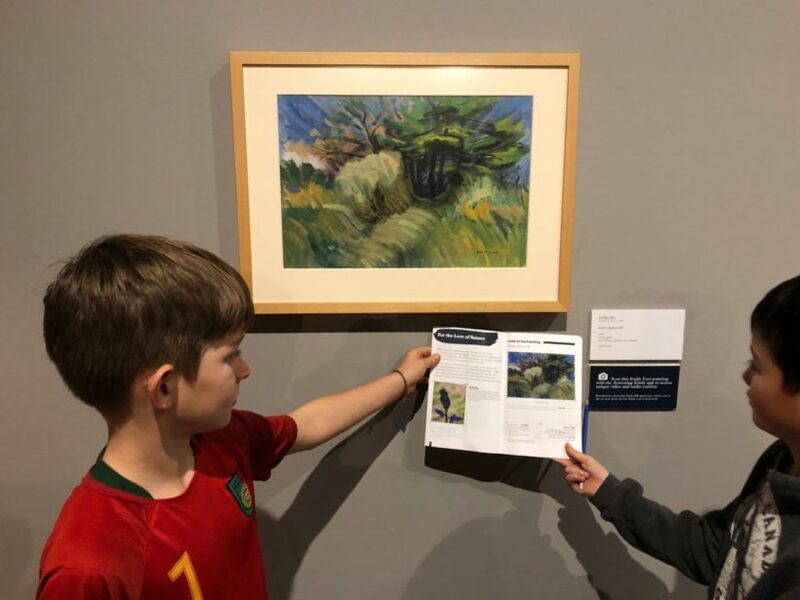 Trips to Beacon Hill Park, Goldstream Provincial Park and Emily Carr House reveal a plethora of clues that tell us more about the paintings in the Gallery. Activating Emily is a fun and dynamic educational resource targetted at viewers of all ages. 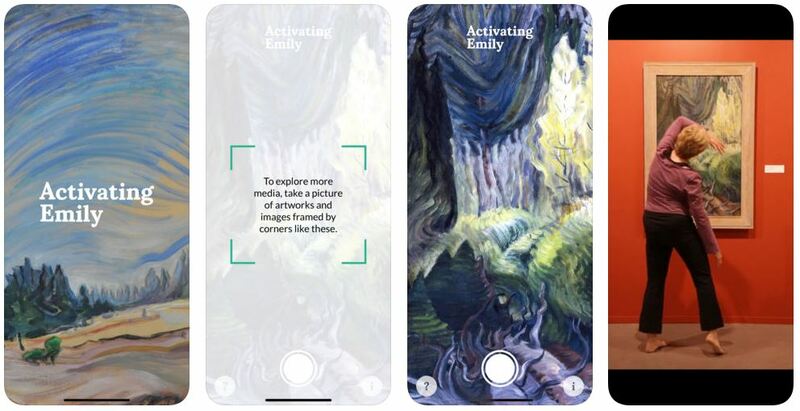 Utilizing both a conventional activity-book format and an interactive mobile app with image recognition technology, the experience of enjoying Carr’s paintings is enhanced through the “activation” of the gallery spaces. The activities urge viewers to go beyond admiring the pretty pictures and ask questions, make connections, and discover Carr’s relationship with her surroundings. Ethnobotanist and Lekwungen leader, Cheryl Bryce, tells stories in audio recordings on the app. Through her sharing, visitors learn about the generations of Lekwungen women who took upon themselves the stewardship of the Indigenous lands in this area. The takeaway from this part of the app is an art history that is both feminist and decolonializing. The Activating Emily app is one of the many ways the AGGV is striving towards making the Gallery a more accessible, friendly and current public space, that is free from elitism and that allows old stories to be new again. It’s no secret too that Emily Carr was far ahead of her own time. To download the Activating Emily app and the activity book, click here.